Nestled along the Rio Grande River and the Franklin Mountains, the city of El Paso sits on the western edge of Texas bordering Mexico and New Mexico. With a diverse population over 600,000, El Paso offers a selection of funeral homes to choose from that offer services such as pre-planning, memorial services, cremation, and floral arrangements. With a large Catholic population, many funeral homes in El Paso offer services that meet the needs of the Catholic faith. However, with other denominations such as Baptist and Pentecostal in the city, many El Paso funeral homes provide funeral services for any religious background, and for those with no religious affiliations at all. Funeral homes are spread throughout the city, with eight cemeteries to choose from, located in different areas of town. Finding the perfect final resting place for yourself or a loved one is just a matter of choosing what best suits your needs and preferences. Fort Bliss National Cemetery is a long-standing and well-known cemetery for members of the armed forces. One of the oldest and most well-known cemeteries in El Paso is Concordia cemetery, located in the central area of town. If cremation is something you or a loved one has been considering, then there are several crematoriums to choose from that service the El Paso area. Restlawn Memorial Park, Hillcrest Funeral Home, and Legacy Mortuary Service of El Paso all offer cremation services and low-cost burial plans for those being laid to rest in El Paso. 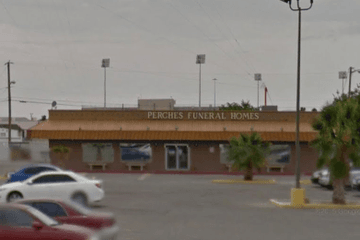 Search by area or ZIP code now to find local funeral homes in El Paso near you. You can order results by best rated, most reviewed or nearest, and click on a funeral home’s profile to find out more. You can read customer reviews, discover more about the services they provide, and get in touch to begin making funeral arrangements for your loved one.